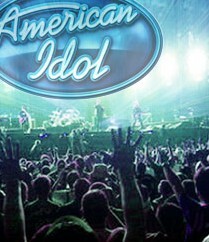 It wasn’t just the curiosity factor that kept ratings for Fox’s American Idol up for its season debut last week. This week’s ratings looked mighty impressive, too. Wednesday’s two-hour audition episode attracted 25.2 million viewers, beating the combined viewership of all the other networks. The episode also secured the Idol judge Steven Tyler’s standing as the anti-Simon Cowell, when he approached the wheelchair-bound fiancée of one of the contestants. The woman, who suffered brain damage in an accident that occurred shortly before their planned wedding date, looked vaguely confused as he introduced himself and told her, “I just heard your fiancé sing, and he’s so good, you know, because he sings to you all the time. I could tell.” He then kissed her on the cheek. Thursday’s show also dominated the ratings, attracting 24.19 million viewers.